As demonstrated by the conference program, there are many ways special collections professionals can engage with the topic of climate change: its impact on our users, or our collections, even the underlying professional assumptions that guide and inform our work. 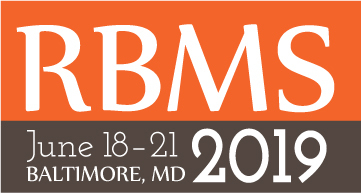 However, in exploring this conference theme, we’d be remiss if we didn’t initiate some conversations around the sustainability of bringing 500 RBMS members from across the world into physical proximity for four days. Professional conferences are valuable in many important ways. They help us form a sense of professional identity, bring disparate groups into conversation, or provide venues for learning and information exchange. They can serve to seed collaborative projects, even catalyze new innovations and ideas. They can also provide opportunities for new professionals to engage with established networks and act as venues for facilitating inclusivity. RBMS is particularly committed to these latter endeavors through its Scholarship Program, which supported 33 attendees in 2018. Despite these benefits, conferences do impact the environment. From air travel to the waste associated with hotel accommodation, conferences have a considerable carbon footprint. Increasingly, the very scientists who help us to understand the complexity of changing earth systems are questioning the wisdom of gathering in far-reaching locales and challenging one another to reconsider this method of information exchange. And within academic circles there are growing calls to reevaluate and reduce the air travel of university faculty and academic professionals. While these are all important issues to consider, solutions and easy answers remain elusive. We have a conference to plan and important topics to discuss. Rather than seeking to implement sweeping, permanent changes to how RBMS stages conferences (which is not what we, as co-chairs for one annual conference, believe is our role to do), we have sought to begin discussions among membership and position sustainability as a consideration that future conference planning committees can carry forward. To that end, this year we formed a new Conference Sustainability sub-committee of the program planning committee, who have been charged with exploring ways to engage with this topic as part of the planning process. Co-chaired by Sarah Cahalan and Jessica Pigza, this committee has planned some exciting initiatives, and even successfully submitted a proposal for a participant-driven session to openly discuss these issues at the conference proper. They’ve planned several blog posts to share their thinking and good work, which will be published over the coming weeks and months. Add a Workshop to your Registration!